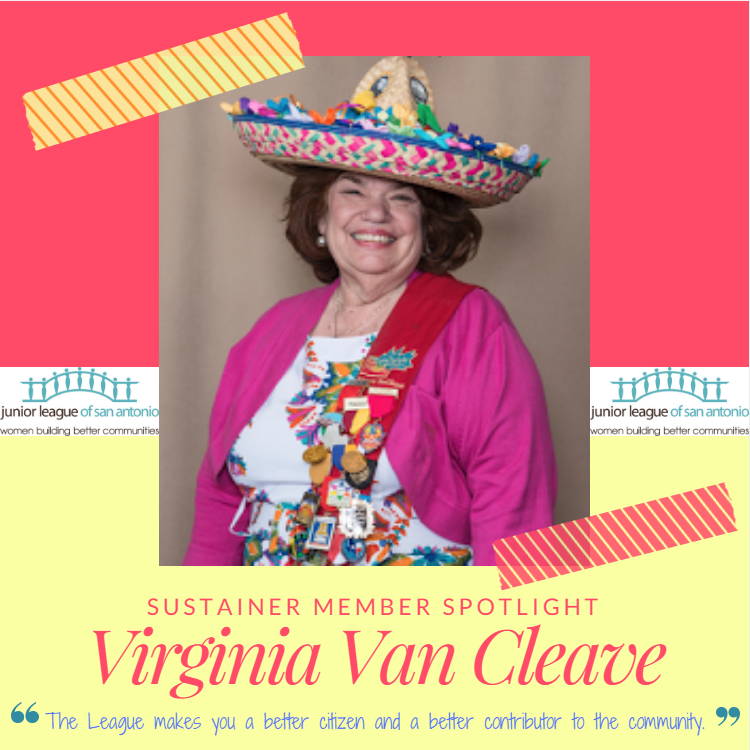 Sustainer Member Name: Virginia Van Cleave. What year did you join the League? Virginia joined the Junior League in the mid-1980s. What was your favorite placement you held during your League career? Her favorite placements were rocking babies at University Hospital and working the Rummage Sale. What have you learned from the League that you have applied within your post-League endeavors? How did becoming a member of the Junior League of San Antonio impact your life? Virginia was inducted to the San Antonio Women’s Hall of Fame. – Went to Thailand in 2013 to speak on how attendance could be increased at the historical monument in BangRachan, which is considered similar to the Alamo. – President General, PMO Alamo Inc.
– Charter Member of the Assistance League where she opened the Thrift House which earned $47,000 this year alone. The money goes to support children in the community.